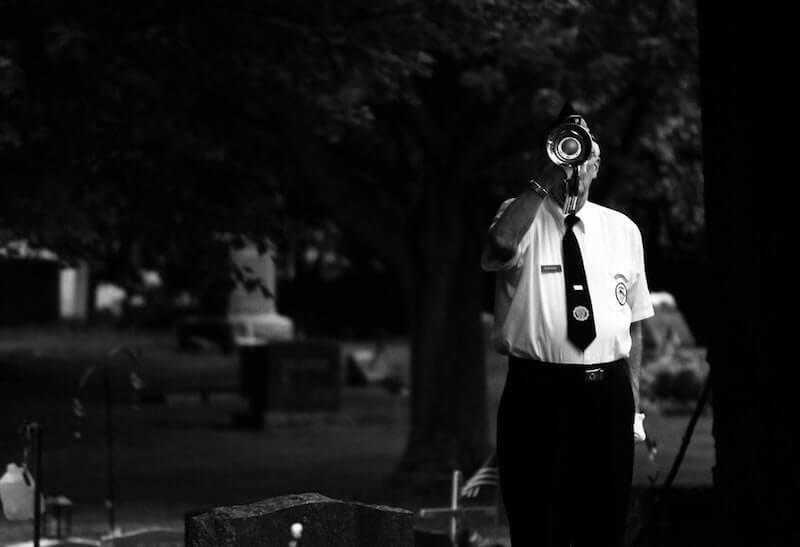 At Thibadeau Mortuary Service, we are proud to pay tribute to veterans that have passed. away. We organize and execute military funeral services that deservingly recognizes the bravery and sacrifice of veterans. Providing quality military funeral honors is our small way to show our appreciation for the service of veterans. To help expedite the application process, provide our funeral home with your loved one’s DD Form 214, Certificate of Release or Discharge from Active Duty. You can request the form online from the National Archives. However, our funeral directors can ask and get the form on your behalf. The application process for military death benefits can be a bit tricky, but our funeral directors are here to help. We handle the entire process, and will ensure your loved one receives the military death benefits that he/she deserves. Contact us today, so we can give your loved one the veteran funeral ceremony that he/she deserves. We are very proud to honor those that fought for our country. These individuals warrant a special ceremony to honor their life. What’s Involved in a Military Funeral Service? On January 1, 2000, it became law that the United States Armed Forces offer military funeral honors to all eligible veterans if they are requested by the family. At all military funerals an honor guard detail of at least two members of the Armed Forces will be present. One of the members will be apart of the military branch that the deceased was apart of. At the very least, the honor guard detail will perform the playing of Taps and will fold and present the American flag to the family. - Another option to national cemeteries are state veteran cemeteries. Eligibility is quite similar to the ones outlined by the Department of Veterans Affairs, but may include residency requirements. Take a look at the full list here. - Most veterans are eligible to receive a headstone, marker, or medallion at no cost. The flat markers are available in granite, marble, and bronze. The headstones are available in granite and marble. - Burial Allowances refer to the flat monetary sum that is paid to cover the Veteran’s funeral costs. - A gun salute. The number of shots fired is in accordance with the rank of the veteran.